Some time ago I've bought an external battery to get my tablet and smartphone charged on the go. Since my journeys didn't involve (as I thought they would) long periods of time spent with no access to mains, the battery ended up lying in one of my drawers. Now, I've found a new use. 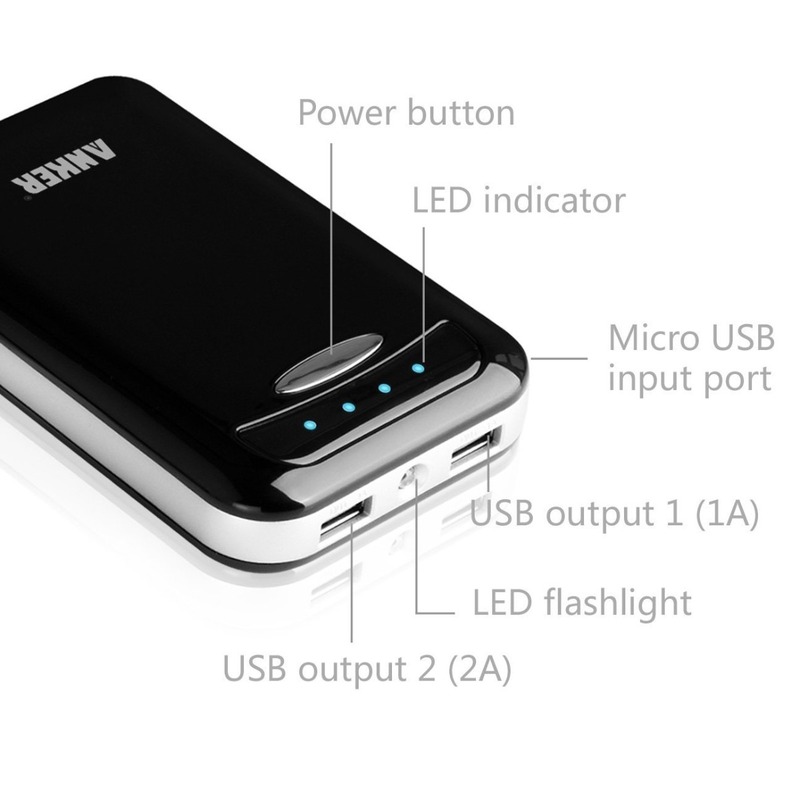 The portable gadget I'm talking about is Anker Astro E4 external battery. It has a pretty big capacity of 13000mAh, producing output of 5V with 1A or 2A. As the producer ensures, it's capable of making 8 charges on most smartphones. This thing is a total workhorse. It's solid, heavy, and a little bit bulky; exactly like a heavy duty battery ought to be. It feels nice in the hand, has useful charge indicator lights and unexpected but handy LED flashlight. And beyond that, it stores an enormous amount of battery power. Obviously you lose some energy in the conversion so you may only get about 10000 mAh of energy into the devices that you charge but that's still a huge amount. The device is the star of the show and it's really excellent. Since it would be a pity to let such a powerful piece of equipment just sit there in a drawer under other electrical junk, I've come up with an idea to use it with my second Raspberry Pi as a power source. My flat, being small, has a limited number of sockets and it's already cluttered with lots of cables, power cords and extension leads (my small indulgence is hi-fi systems), and my girlfriend wouldn't be happy with yet another piece of electrical equipment tangling under her feet. As the RPi in question is not to be powered on all the time and I use it only when I want to practice programming and play with GPIO, this seemed to be a perfect idea to equip it with mobile food source. the battery lost just only 1/4 of it's power! I think this is pretty impressive. 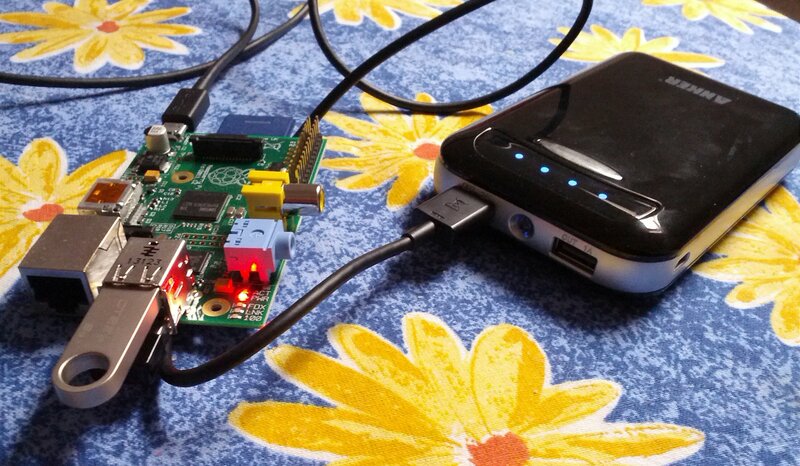 Thanks to the portable external battery I'm now able even to travel with the RPi. I am planning to make a case that would fit the battery, RPi and any additional boards I might use. 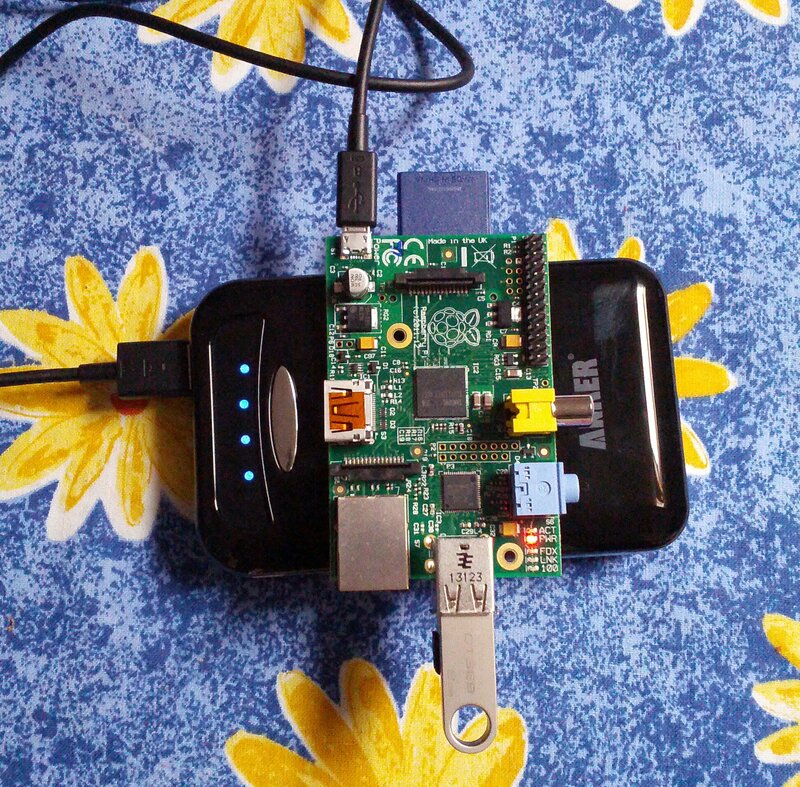 It will be fun to have a travelling version of the Pi that could be "toured" around my places I go to and introduces to others. This would, of course, mean adding a display and keyboard, transforming the Pi into a laptop-like machine, but still, it would be great.